10 Weeks - We bought this for the kitten. But, share and share alike. The pups were crazy over it. we have to supervise though. 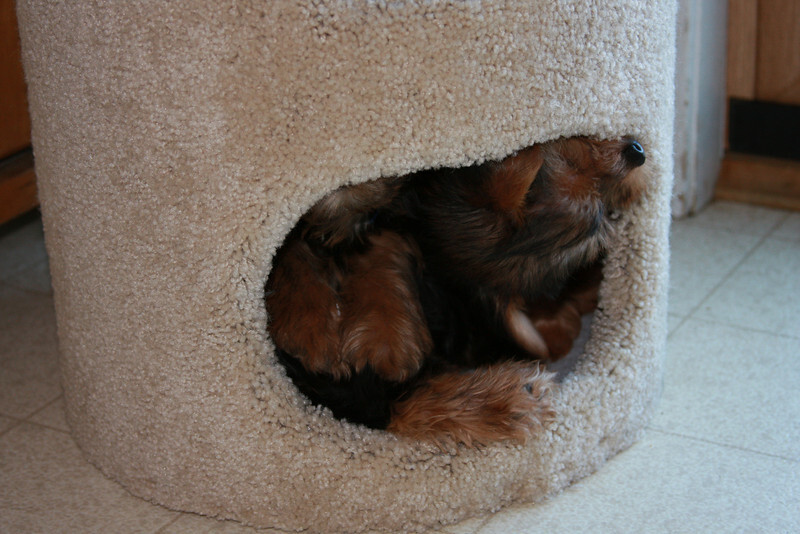 The pups liked to chew up the inside. Tipical toddlers, terrible twos.